Difference between Bolsheviks and Soviets. The Bolsheviks (majority in Russia) were a political radical group. As a matter of fact, they were the dominant bloc of the RSDRP, also known as the Russian Social Democratic Labor Party. Vladimir Lenin founded it in 1905. 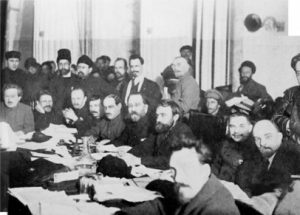 By 1917, during the October Revolution, the Bolsheviks took control of Russia and soon after that, the Russian Soviet Federative Socialistic Republic was established. This was the first step towards the establishment of the Soviet Union. 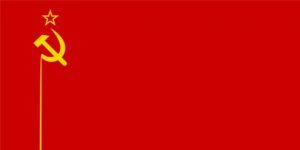 After some time it changed its name to “Communist Party of the Soviet Union”. The party and its members were ruled by democratic- centralist tendencies, which are thought to be the central ideology of a communist party. On another note, before the Russian revolution, the name “Soviet” was used to refer to a local revolutionary. After the consolidation of the Soviet Union a soviet was someone who was chose to rule locally, regionally or even statewide. Backgrounds Before 1914 the amount of discontent amongst Russian population was huge to say the least. Taxes were high and unemployment rates were over the top. Soon after, the Tsarist regime became abhorred, mainly because it was considered repressive and undemocratic. These conditions created the perfect conditions for the creation of the Russian Social Democratic Party. The Bolsheviks, as read before, were part of this party. As a matter of fact, Bolsheviks were Soviets who later separated in order to pursue their very own manifesto. Soviets believed in practicing an agrarian form of socialism. Meanwhile, Bolsheviks pursued an industrial form of socialism. They believed changes needed to be done in Russian society, but they thought the best way of successfully achieving this was by doing it slowly and smoothly. General ideology Bolsheviks believed in an industrial socialism. The workers were an important part of their plans. Under Lenin’s command, Bolsheviks believed armed feud was the only way to successfully achieve change. They really did believe in armed struggle. Soviets never undermined the interest of the under-privileged class, whereas, the Bolsheviks subordinated the interest of the working class to the methodology of revolution. Soviets, on the other hand, were looking to create an agrarian structure. The top of this structure were the peasants, who would own the land they cultivated. The rest of the society would take the form of a village commune. Ultimately, soviets divided into Right SR and Left SR. Right SR had some resemblance to Mensheviks, left SR to Bolsheviks. Eventually the Left SR became a part of the Bolsheviks. Soviets didn’t really believe in violence. They believed in a capitalist development and formation of a democratic government. Socialism They believed in socialism since their creation. However, the outbreak and growth of the civil war “forced” Bolsheviks to establish socialism in Russia immediately. Soviets would insist that installing socialism in Russia was not a good idea, since the working class was to feel the hardship in first place. 1914 war The war against Germany was condemned by the Bolsheviks. They turned their backs to Russian government and formed an alliance with the Socialist Party of Great Britain. Soviets supported Russia and Germany’s confrontation. Organization Bolshevik movement was self-sustainable, determined and coherent. They also favored a party of disciplined, radical, and professional members. Soviet movement was scattered, incoherent and even contradictory. Tsarist regime Lenin, the leader of the Bolsheviks thought the proletariat had to lead the movement against the regime. He also believed a dictatorship of proletariat needed to be established. According to both Soviets and Mensheviks, Lenin’s idea about proletariat and the regime and about the dictatorship was unacceptable. Instead, they believed a bourgeois class needed to be created. Workers The Bolsheviks, guided by Lenin, put labor force under state power. A military-like disciplinary regime was imposed to industrial workers. Under this system, labor desertion was considered a punishable offence. Soviets and Mensheviks believed workers and trade unions needed to be apart from state control. Economy By the end of the civil war, the Bolshevik government wanted to install a state-controlled capitalism. Every big company and industry was under the state control. As for smaller industries and agriculture, they were run by cooperatives. Soviets opposed by all means the economical pretentions of imposing a state-controlled capitalism. They believed socialism has to be devoid of any element, even if minimal, of capitalism.